Offering high quality, ready-to-use products, Dole Packaged Foods follows strict food safety regulations in order to provide convenient and safe healthcare solutions from a brand you can trust. Nutritious meals are important in all Healthcare Operations. When you provide your patients, staff and guests with DOLE ® Fruit Products, you guarantee the quality and ripeness of the DOLE Brand. You are truly showing the care and consideration taken to obtain the best products. Providing the sweetness of fruit to residents’ meals. Furnishing better-for-you and easy alternatives to sugary snack items. 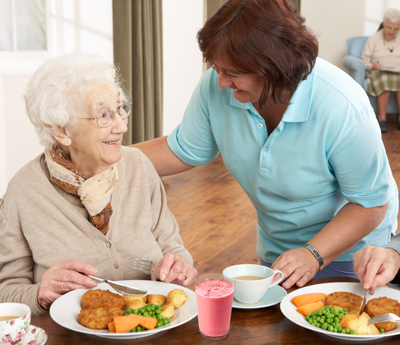 Supplying nutrition in each meal - important in treatment and recovery. Offering a great snack option for any time of the day. DOLE® Fruit Bowls® provide the option to save for later if the patient so chooses. Patients love DOLE Fruit Bowls® in 100% Fruit Juice; they are convenient, easy-to-eat snacks that are nutritious. 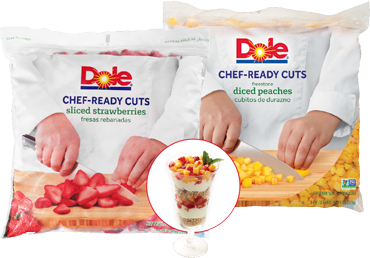 DOLE Chef-Ready Cuts add a cost savings and always consistent fruit option to every menu application and are enjoyed by all. 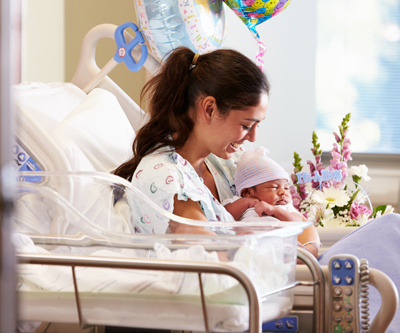 Guests, employees and patients will experience comfort and satisfaction when purchasing the DOLE brand. 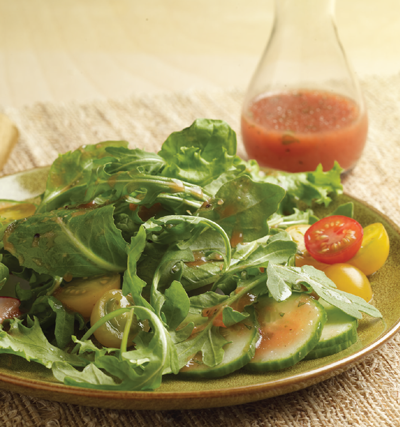 using DOLE® Chef-Ready Cuts. Washed, cut, & ready to use, they are the perfect labor saving solution! 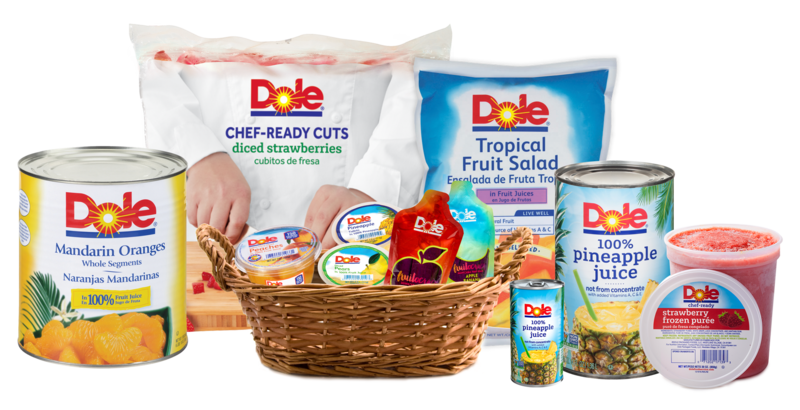 Dole Packaged Foods strives to provide innovative, quality and versatile products that will save valuable time and money. Overripe fruit, product waste, and loss of time are factors that can have a negative impact on your bottom line, so use DOLE products and discover the savings! 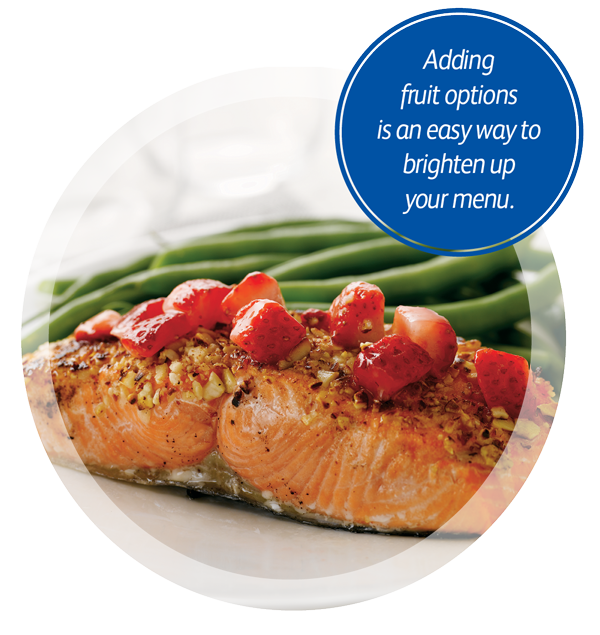 DOLE® Fruit provides versatility and better-for-you menu options. Dole Fruit is picked at the peak of ripeness providing quality, consistent taste, appearance and yield. 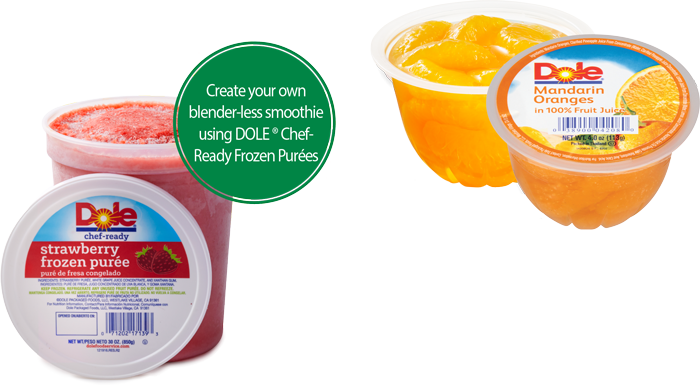 Convenience and versatility is a common benefit of DOLE Packaged Fruits, as they are available throughout the year. Many products are pre-cut and ready to serve. This avoids potential for cross contamination. Dole is a trusted brand that provides the industry’s highest safety standards. 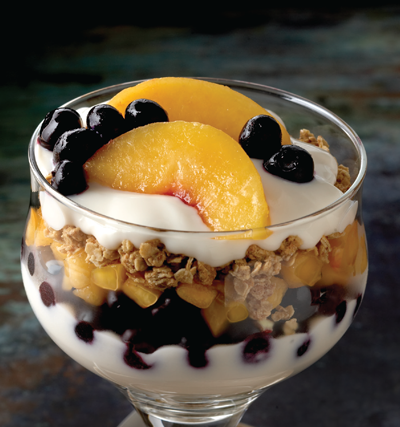 Shelf stable packaged and frozen fruit provide versatility and better-for-you menu options. Frozen Fruit is picked at the peak of freshness providing high quality, consistent taste, appearance and yield. 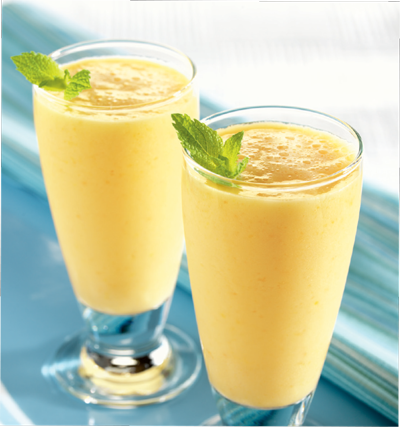 Dole Packaged Foods is an industry leader in nutrition education and research. DOLE® Fruit products are great to have on hand in case of an emergency: packaged fruit is shelf stable for 12 months and frozen fruit has a 24 month shelf life. 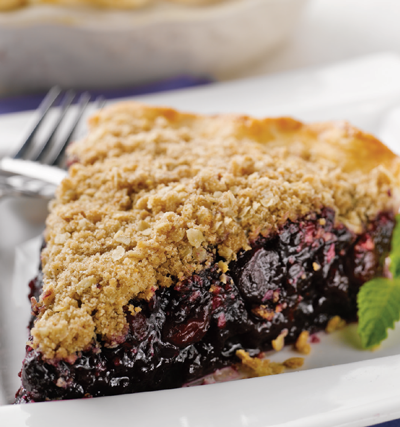 Perfect to use for everyday as well as evening, holiday & weekend meals. All of our frozen fruit tear-open, resealable bags contain recipe ideas and are bilingual. Dole Packaged Foods maintains its strength as a brand consumers love, offering a wide selection of the best-tasting products.